Yeah! 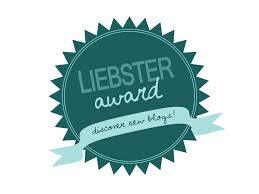 It's exciting to be nominated for an award, especially when you're new to blogging. Thank you so much Marit TRH! Self preservation. I needed an outlet for my thoughts and stories or my head would have exploded. My first, because it was the beginning. I haven't posted enough to be embarrassed by any yet. I don't cook and I don't order in. I can't remember but I'm sure it was a historical romance. I like reading about knights with swords on horses, ladies in long flowing dresses and castles. Any day I don't have to go to work. I don't have process, except maybe, I just write what I feel. 2 . What do you hate most about blogging? 5. Dog or cat person? 8. Favourite guilty junk food? 9. What country would you like to most visit? 10. Your opinion on The Immortal Instrument movie verses the book. 11. Your opinion on The Twilight movies verses the books.